Free fun trek is highly offer to This challenging yet rewarding trek will lead you through miles of steep valleys, high passes, and gorgeous glacial lakes. 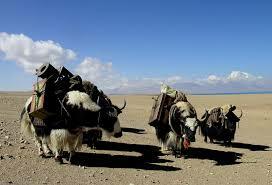 Trekkers will be shown some of the most spectacular Himalayan scenery anywhere on earth. Snow-covered mountain peaks will be coupled with astounding flowering valleys in the warmer seasons. The highlight of the trip for many is the remote Kang shung valley, often referred to as the valley of flower. Lingam La, at a height of 5320 meters, is the highest point we will encounter on this amazing trek. The view from this point on a clear day is unparalleled in its beauty. Dozens of vast snow covered peaks including Makalu, Lhotse Shar, Lhotse and Mount Everest can be seen to the south. Below the snowline of these massive peaks lie valleys and ridges bountifully covered with various grasses and thick vegetation.